Animals Lebanon - Aloha from Beirut! 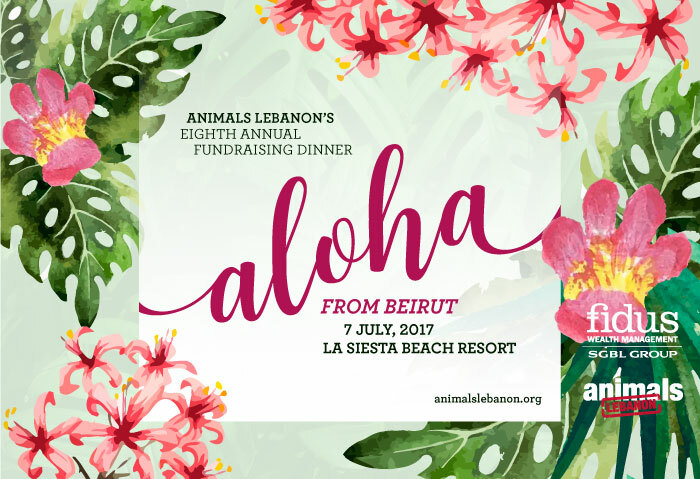 Get ready to get whisked away into a tropical paradise at the Animal's Lebanon Annual Fundraising Dinner Party! Quench the summer heat with bursts of cool color and citrus flare on July 7, at the new and trendy La Siesta Beach Resort! Call 76-778624 now and see you 7 July at La Siesta Beach Resort!